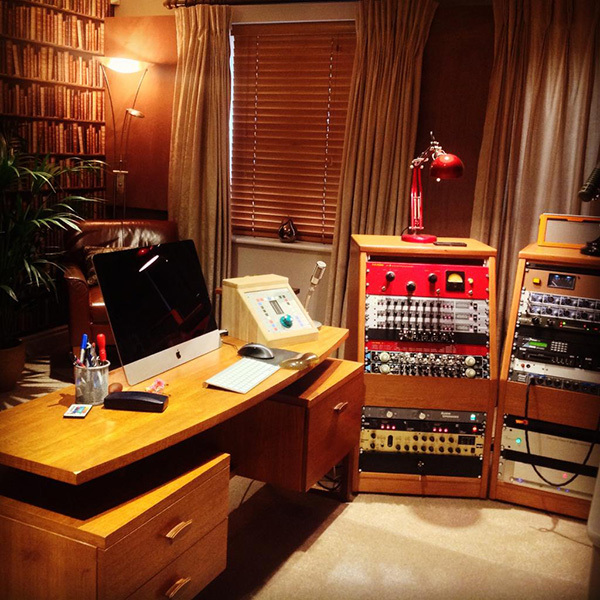 Two custom built studio racks in a cherry veneer with solid wood edging. The racks were tinted to give a warm colouring and to blend in with existing studio furniture. Sliding rack strips were used at the clients request.